The Axel and Margaret Ax:son Johnson Foundation for Public Benefit is a private foundation with the primary purpose of promoting scientific and scholarly research in general. Its focus today is on the humanities and social sciences. 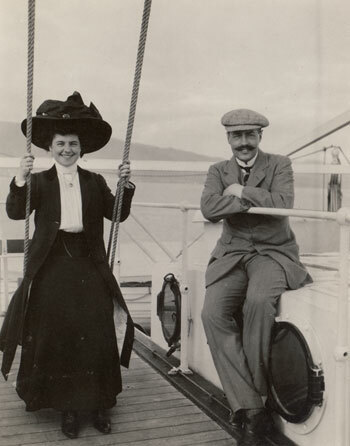 Founded in 1947 by the Consul-General Axel Ax:son Johnson (1876-1958), owner of the Nordstjernan Group, and his wife, Margaret (1887-1966), the Foundation initiates its own projects and does not accept unsolicited applications (for more information, please see Contact). The Foundation is a forum for promoting independent discussion of practical and spiritual matters of importance to Swedish society and culture, and promotes Sweden’s ongoing contribution to international, interdisciplinary debate in the humanities. The Foundation seeks out, develops and promotes its own programmes for which it retains full responsibility. It focuses its resources and efforts on a small number of areas and projects within the humanities that have the potential to produce long-term benefit of high scholarly quality. The Foundation seeks to provide a forum for independent intellectual discussion in Sweden and globally, where a crucial element consists of introducing international and interdisciplinary debate in the humanities in Sweden, and encouraging Swedes to participate in the international debate, in accordance with the maxim: Sweden in the world, the world in Sweden.